The ability to broaden the bandwidth of seismic data and deliver that enhancement to the target and reservoir has clear benefits for more successful exploration, appraisal and development-well placement. 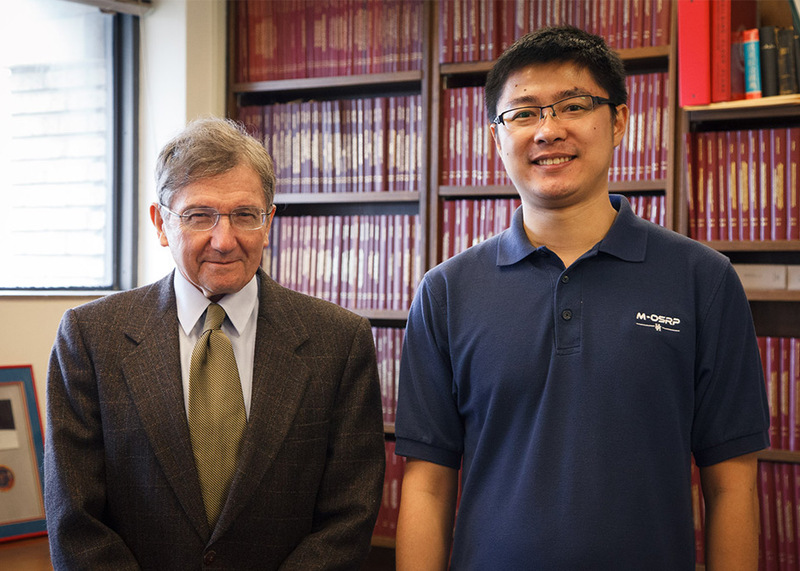 Several fundamental seismic research projects in the Department of Physics at the University of Houston are identifying challenges in that arena and delivering new capability and effective solutions. One of the longstanding challenges in exploration seismology is the loss of seismic wave amplitude due to the absorptive and dispersive nature of the subsurface. The quantity ‘Q’ is used in equations to define the absorptive process that seismic waves experience when propagating in the subsurface. The returning reflected wave will have a greater reduction in amplitude for higher frequency components compared to lower frequency components. That loss of high frequency data components has a deleterious effect on seismic resolution, and discourages acquiring higher frequency data under precisely the circumstances where higher resolution is needed. One reason for the interest in additional low frequency data is that it is the only data that often survives, for example, in a pre-salt play where the reflected wave has experienced the highly absorptive salt layer(s). There is a long history, and many approaches exist that attempt to estimate the absorptive mechanism, and compensate for the attenuation due to absorption. The accurate estimation of absorptive properties is difficult, with a checkered history of success. Small errors can result in noise being amplified and overall unstable results. Yanglei Zou and Arthur Weglein, of the Mission-Oriented Seismic Research Program (M-OSRP) in the UH physics department, have recently advanced a new, practical method that can compensate for the absorption experienced in the subsurface without needing to know, estimate or determine anything about the absorptive mechanism. That, Weglein says, will encourage new acquisition methods to acquire higher frequency data. The development also has significant implications for electromagnetic exploration, where absorption and dissipation can be even more serious and dominate the propagation terms in the governing equations. The new method being developed for removing the deleterious effects of absorption ‘Q’ on seismic waves has application to electromagnetic waves, with the potential to produce a subsurface analog of seismic Q, an electromagnetic conductivity map, to directly distinguish water from oil. Mark Meier, a new physics faculty member, is developing a lower frequency source and receiver for marine and on-shore plays. It will provide lower frequency data than is currently available in the petroleum industry. Meier is planning a new petroleum industry consortium to fund and support his fundamental seismic acquisition research. Migration is the method that inputs recorded seismic data to locate and delineate targets and reservoirs. All current migration methods, including all reverse time migration (RTM) methods, make high frequency approximations. The consequence is that the migration methods employed today are less effective with lower frequency components. That fact has resolution consequences with conventional seismic acquisition. In addition, all current migration methods discount the potential and value of lower frequency recorded data. 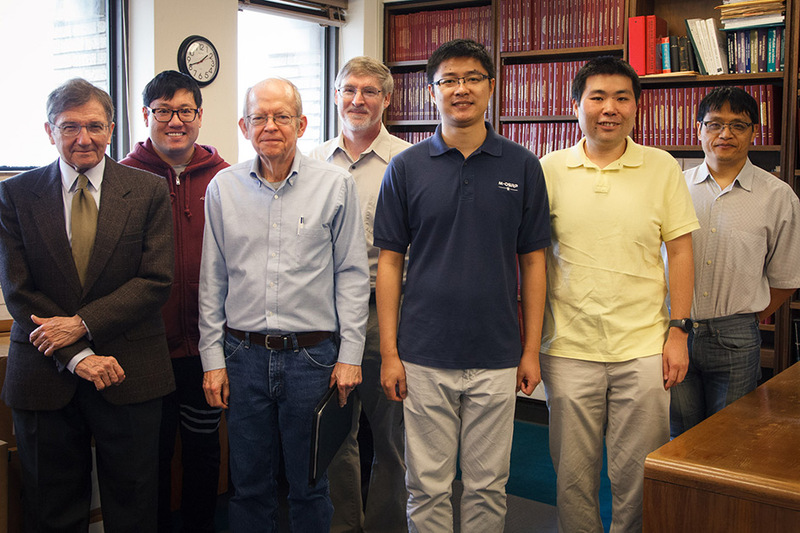 Physics faculty and members of the M-OSRP Team: From left, Weglein, Chao Ma, Jim Mayhan, Mark Meier, Yanglei Zou, Qiang Fu and Fang Liu. M-OSRP has developed the first migration method for heterogeneous media that is equally effective at all frequencies. The M-OSRP team pioneering that capability and delivery includes Weglein, Robert H. Stolt, Yanglei Zou, Qiang Fu, Chao Ma, Jing Wu, Jingfeng Zhang, Jose Eduardo Lira, and Jim Mayhan. The new migration method from M-OSRP provides added value for identifying and delineating reservoirs, beyond the current industry top-of-the-line RTM migration. The added value promises to be even greater for lower frequency broadband data that Meier and his team will provide. An executive summary overview of M-OSRP research projects can be found in mosrp.uh.edu/news/executive-summary-progress-2017. The 2018 M-OSRP Annual Technical Review was held June 5-6 at the University of Houston. It covered all projects within M-OSRP including, preprocessing for marine and offshore plays, removing ground roll without damaging reflection data; choosing among tool box options: ISS free surface multiple elimination and SRME, when free surface multiples interfere with other events; and internal multiple elimination for removing internal multiples without damaging a proximal or interfering primary; Stolt CIII migration, and RTM resolution comparisons for heterogeneous media, and Q compensation without knowing or estimating Q. These recently developed, more effective seismic processing methods and capability and the advances in broad band acquisition for increasing effective bandwidth and target resolution can allow currently inaccessible petroleum reservoirs to become accessible, and accessible reservoirs to become better defined and delineated. There are transferable benefits to other fields of non-destructive evaluation. For example, in medical imaging, it could be used for early cancer detection to identify smooth surfaces from rough, corrugated and undulating surfaces. “We plan to pursue the development and application of these new, more effective target identification, delineation and detection resolution advances and improvements both within and beyond seismic exploration,” Weglein said.